Youth are encouraged to participate in Licking County Soil & Water Conversation District’s (LCSWCD) River Round Up Poster Contest. The deadline for submission is February 1, 2019 and the winning individual receives $100 cash with an additional $500 in scholarship money! 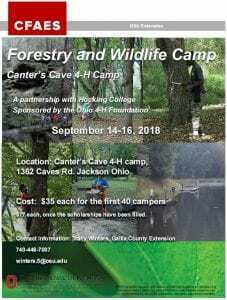 The River Round Up Poster Contest is open to all school-aged youth in primary, secondary schools (public, private, and home school; K-12) or school-aged youth living in Licking County. Posters should reflect water pollution awareness and encourage volunteer participation in the River Round Up. Prizes will be awarded to students and their respective schools. The winning individual will receive $100 in prize money and winner’s school will receive a $500 scholarship to use for advancing science and art programs. Up to two honorable mentions will receive a $250 scholarship each for their school. The grand prize also includes having the winning poster used as the primary electronic marketing picture for the 2019 River Round Up. All entries will be displayed on the River Round Up Facebook page. Winning posters will be displayed at a River Round Up registration site on Saturday, September 7, 2019. 1. The poster contest is open to any K-12 student who resides or attends school in Licking County. 2. Posters should be between 8.5 x 11 inches and 18 x 24 inches and have flat artwork only. Do not fold or roll posters. No glitter. 3. All entries must be received by 4:30 p.m. Friday, February 1, 2019. Only one entry per student. Winners will be announced by Friday, March 1, 2019. 4. Attach an official entry form to the back of the entry; entry form must be filled out completely and legibly. 5. Mail or deliver entries to: River Round Up Poster Contest, c/o LCSWCD, 771 E. Main St., Suite 100, Newark, OH 43055. 6. All entries become the property of the River Round Up committee and will not be returned to artist. 7. Only original artwork with positive themes will be accepted. Winning artwork may be modified to suit marketing purposes. OFFICIAL RIVER ROUND UP 2019 POSTER CONTEST ENTRY FORM available HERE. Are you looking for information on growing your own vegetable garden? 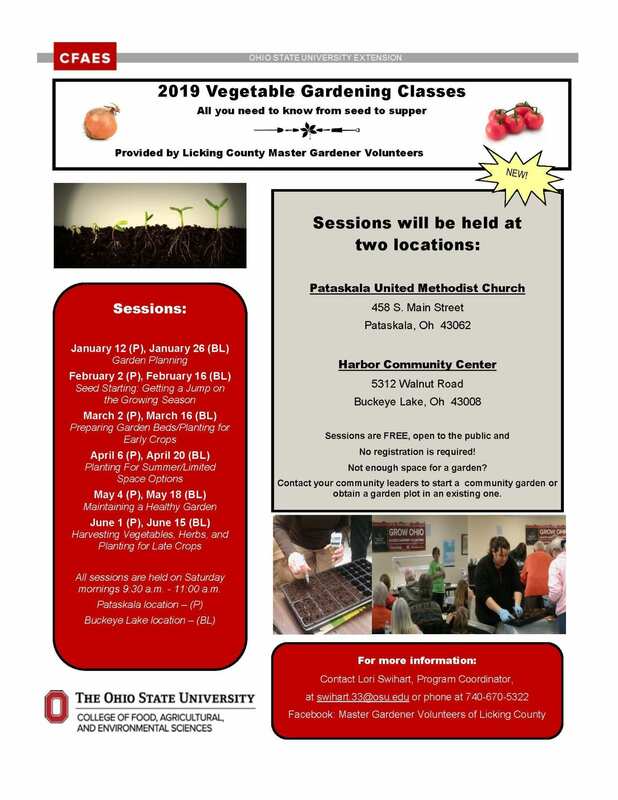 Our own Licking County Master Gardener Volunteers will be hosting a vegetable gardening education series in 2019. The series of six classes will be held in both Pataskala and Buckeye Lake. The series is free to the public so be sure to check them out! This would be a great series for any 4-H member taking the vegetable gardening project or for anyone who wants to learn more about growing their own vegetables. 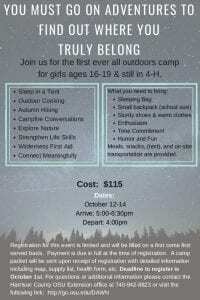 Space is limited and will be filled on a first-come, first-served basis. 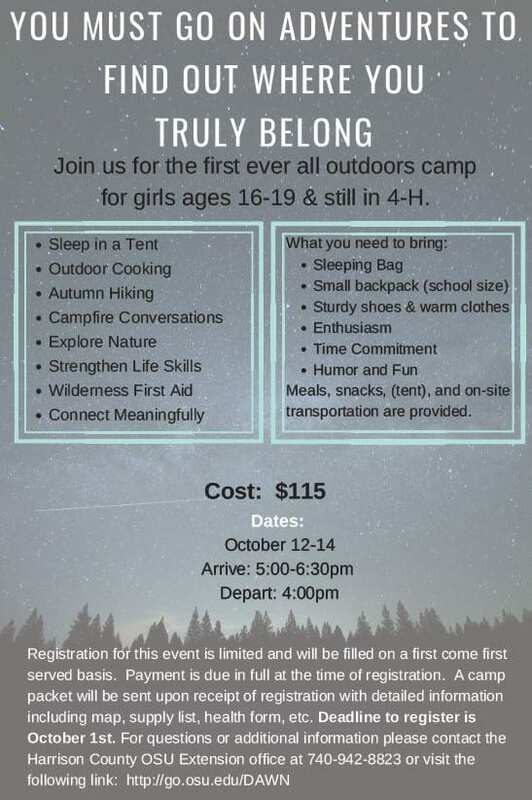 Registrations are due by October 1st. A Special Event for Everyone! You don’t have to get wet or pick up garbage to participate!!! This annual river clean up brings out hundreds of volunteers who pull tires, shopping carts and mountains of trash from 30 miles of rivers and streams. Through this amazing community-based conservation effort, a river system that had all but been abandoned, has seen a beautiful rebirth of aquatic and bird life. 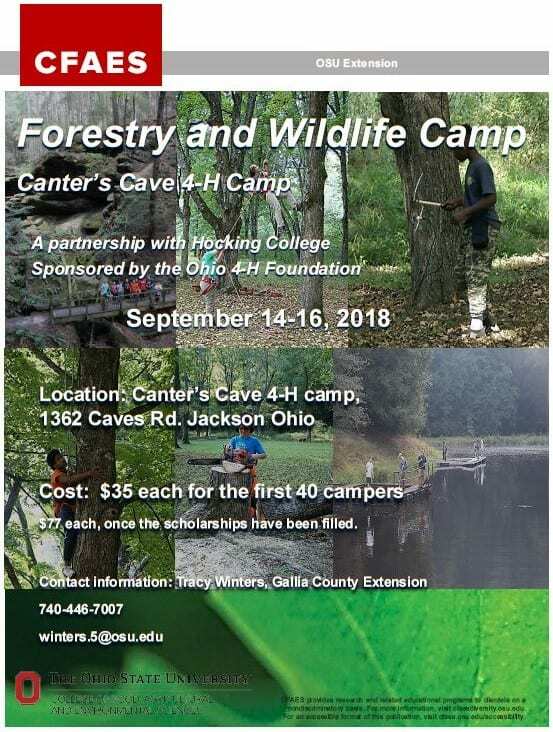 Attention 4-H Members taking Shooting Sports and Natural Resources projects! 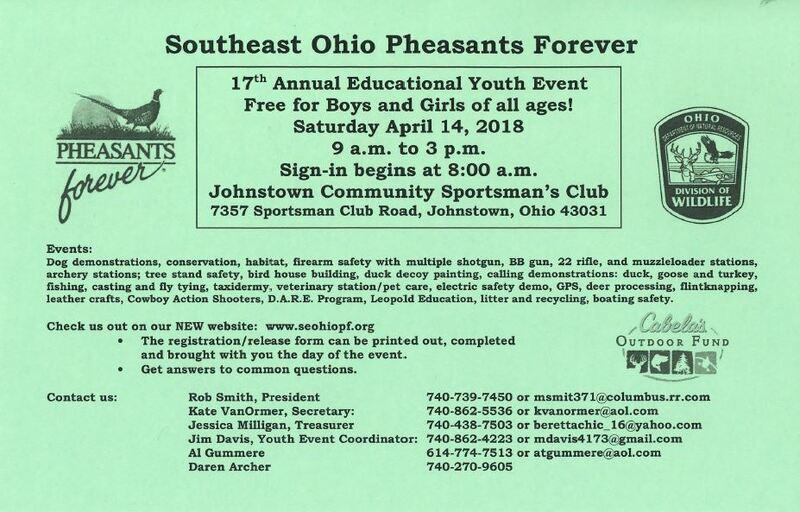 Check out this FREE opportunity from Southeast Ohio Pheasants Forever! There are events all day for you to participate in and enjoy.